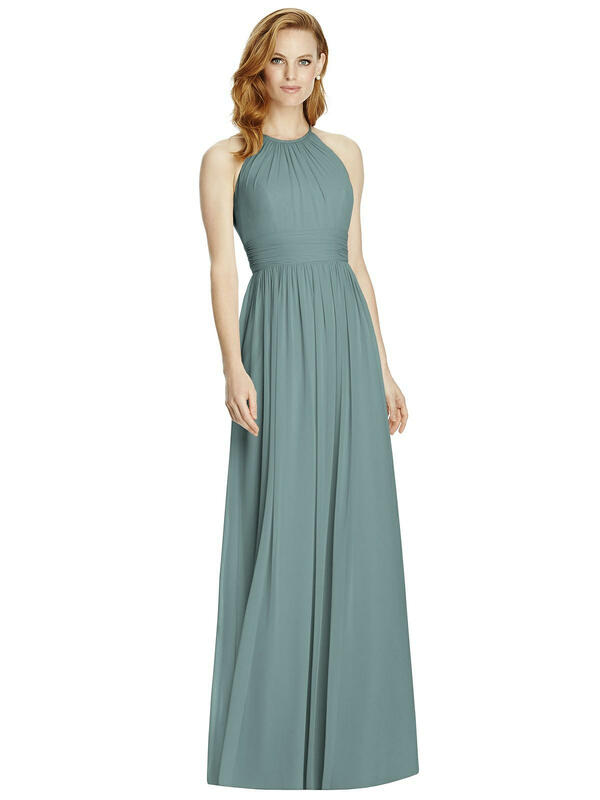 Stunning and simple, the full-length silhouette on this lux chiffon bridesmaid dress is balanced by an open triangle cut out detail on the back. The gathered halter neckline mirrors a natural shirred midriff and skirt. Fit Tip: The natural waist and bust measurement take priority for style 4511. If you are over by an inch or two on the hip, you should have enough room to release the side seams to allow for that variance.